ACS: The New Lamborghini Urus SUV: Functional Vehicle or Rich Guy's Novelty Item? The New Lamborghini Urus SUV: Functional Vehicle or Rich Guy's Novelty Item? 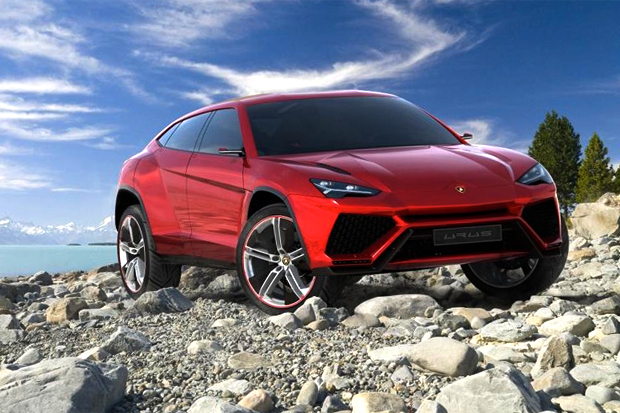 Making an appearance at the Bejing Auto show this week is the new Lamborghini Urus SUV. The Lamborghini Urus is actually their second attempt at an SUV the first being the military inspired boxy mess known as the LM002 which as built in 1989. The Urus is much better designed, at least aesthetically than its predecessor and is meant to appeal to everyone and compete with the Range Rover family, BMW X5 and X6, Porsche Cayenne, etc. Not much has been released yet as far as pricing on the Urus and technical specs but it looks to us that Lamborghini is making an extremely smart business move with the Urus SUV. If they choose to produce it they will probably lower the price far enough from their other luxury cars so that it seems just in reach for the high end SUV customers in the market. Allowing would be Porsche Cayenne buyers who already can't afford those to, for a little bit extra, become Lamborghini owners.